Why Should You Service Your Vehicle ? You love your car, right? It gives you the freedom to cruise the streets and allows you to be independent and flexible. It’s your pride and joy. But are you taking proper care of it? One of the most important aspects of vehicle maintenance is one that can sometimes get neglected — servicing. A vehicle service, including an engine oil and filter change, is vital for your car’s health, and needs to be performed on time, every time, if you want your car to run smoothly, efficiently and safely. Generally, motorists try to spend as little on their vehicle as possible, so when money’s short it can be tempting to skip a service. But, by choosing not to look after your vehicle properly, you run the risk of racking up much bigger bills later down the line or, even worse, unwittingly discovering the problem when you’re driving the car and putting yourself, passengers and other road users in danger. Not to mention the downtime and extra expense that occurs with a breakdown. 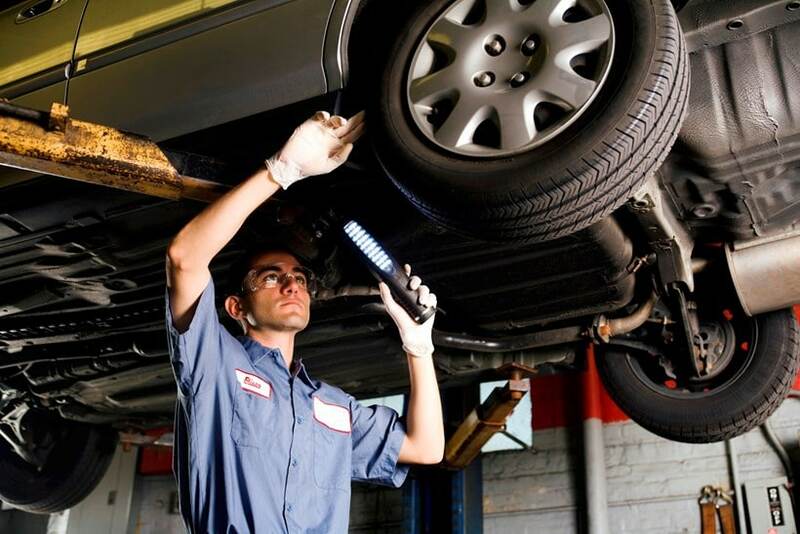 Getting your car serviced each year and maintaining it between services is all about preventative maintenance. Problems are likely to be caught earlier and, more often than not, the earlier they’re caught, the cheaper they are to fix. Plus, having your car regularly serviced is a great selling tool. The cost of a service (including oil and filter change) can start from $159 (AA member service), pricing dependent on your specific vehicle and how in-depth a service you require. A replacement engine can cost anything from $2500 upwards, depending on vehicle type, engine mileage and used engine stock. A blown head gasket replacement could cost anywhere from $1500. Some components make up a part of regular maintenance (cambelt and waterpump) but can also cause the expensive engine repairs if they fault due to lack of servicing. Suddenly the price tag for a yearly check doesn’t sound so bad. There are replacement intervals or a service schedule for most components found in your car. These intervals can also be both time- and distance-based whichever comes first and can cover anything from air, pollen and fuel filters, to engine oil, antifreeze and driveline fluids. For example, sparkplugs on petrol engines have a few different options and replacement intervals range from say three years/30,000 km to 10 years/100,000 km. If you’re one to simply purchase a litre bottle as a top up, beware as you can slowly clog up your car’s engine from the inside. Over time, the slow degradation of the oil lubricating properties can cause what is known as engine seizure. Unlike fine red wine, oil ages badly and over time it degrades. The process of oxidation occurs naturally in the oil, but the rate at which this happens depends on factors such as temperature, moisture, oxygen levels and engine condition. If your engine oil is thick like tar, it’s likely it hasn’t been changed for a while and you’re running the risk of premature engine failure if you don’t change it. We recommend consulting your owner’s handbook for the manufacturer’s service schedule which can vary from 15,000 to 30,000km service intervals.